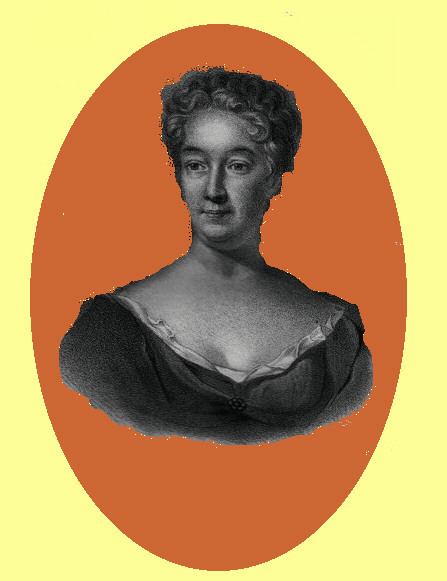 Sophie Elisabet Brenner is usually referred to as Sweden’s first significant female author. She has also been termed “the Swedish Sappho”. She was one of the leading composers of occasional poetry of her time and became famous as a female belletrist far beyond Sweden’s borders. Sophia Elisabet Brenner, née Sophia Elisabet Weber, was born in Stockholm in a house near Köpmanstorg in Gamla stan. Her family belonged to Stockholm’s economically and culturally significant German-speaking bourgeoisie and the language used in their home was German. Sofia Elisabet Brenner began her education at the German school, which at the time was the only notable place of education in Stockholm. Subsequently, she was home-schooled by a tutor. The language of literature for her and many of her contemporaries was, naturally, German. Sophia Elisabet Brenner also learned Latin at school. This was far from the norm. Languages as well as familiarity with the classical authors and the basic rules of rhetoric usually formed part of a boy’s rather than a girl’s education. This knowledge came to play a decisive role in Sophia Elisabet’s life. By virtue of her ability to write and speak Latin she became a learned woman, highly relevant to Sweden during its era of Great Power. Behind her was an effective promotional team largely consisting of her husband Elias Brenner, the doctor Urban Hiärne, the multi-talented traveller Johan Gabriel Sparwenfeld and the numismatic Nils Keder, which ensured that her reputation as a poet and a skilled linguist became spread far and wide. When Elias Brenner sent his important work on Swedish coins, Thesaurus nummorum Sueo-Gothicorum, 1691, to his numismatic contacts across Europe, he liked appending a presentation of his learned wife. The newspapers and pamphlets that carried news to the educated world in Latin, German or French also included news of her writings along with samples of her poetic talent. It is known that Nils Keder, for example, who was a correspondent for the Lübeck-based journal Nova Literaria Maris Balthici & Septentrionis, reported on the latest output from Sophia Elisabet Brenner’s writing room. In February 1701 he reproduced a long celebratory poem in German, which was intended as a preface for a new printing of David Klöcker Ehrenstrahl’s work on art history, Die vornehmste Schildereyen, welche in denen Pallästen des Königreiches Schweden zu sehen zind, published in 1694. Sophia Elisabet’s social circle encouraged her to produce odes in order to create useful contacts and not only make her famous as the Sappho of the North but also as Sweden’s answer to Anna Maria van Schurman and other learned women in Europe. A letter in Latin and a poem in Swedish addressed to Thomas Kingo, bishop of Fyn, produced exactly the desired type of connection, albeit not as hoped with the addressee in Odense but with Otto Sperling the Younger in Copenhagen. He was shown these writings and was very interested, given his own on-going work on a catalogue of learned women. The majority of the bound odes composed by Mrs Brenner were collected by Urban Hiärne in a small folder called Testimoniorum Fasciculus. This folder was often bound together with a poetry collection called Poetiske Dikter, which was compiled and published by in 1713. The poems were prefaced by a letter of dedication to Ulrika Eleonora the Younger and a foreword to the reader. In a mixture of appealing humility and self-awareness the poet described her work as a “modest effort” but she also wrote that: “as far as I know no other woman in Sweden with a husband, foster child or her own offspring has come forward before me”. The appeal to the reader forms part of a long tradition of linguistically patriotic clarifying forewords dating back to Georg Stiernhielm’s days. Her ambition, “my very goal”, as she wrote, “has always been to write in my mother tongue and I have sought to achieve this in accordance with my talents and the subject and to see our Swedish rhyming style put into greater and more frequent use”. Her hope was that “henceforth here in Sweden”, we would endeavour to use “proper and impeccable Swedish rhymes” once it was known that a woman had composed these poems, “when one learns that a woman has written verse and has done it well”. The dominant literary genre of the time was occasional poetry, poems that were composed for specific occasions of significance in a person’s life or for important social events. Weddings and funerals were the main inspiration for this type of poetry, but also birthdays, name days, the turn of the year, coronations, battles and peace treaties. For the fifty years that Sophia Elisabet Brenner was active as a poet, she mainly composed for these types of occasion, either on her own initiative or through commission. Income could be earned from a poem but generally it led to firming up important contacts through social networks. It was only natural that members of the royal family formed subject material, not least Ulrika Eleonora the Younger. The last surviving poem written by Sophia Elisabet Brenner is an accolade to the Queen on the occasion of her birthday in January 1730. The ode which comprised the accolade was set to music by Johan Helmich Roman. The literature of Sweden’s early modern period was not solely written in Swedish as is clearly illustrated by Sophia Elisabet Brenner’s compositions. She, as already mentioned, in linguistically patriotic fashion had a preference for Swedish in her poetry but almost 35 of her poems are composed in German, some in Latin and a couple in Italian. Latin was mainly used in the early years of her composition but remained a living language in her letters and in her encounters with foreigners when they visited. About 50 of her letters survive, including petitions and memorials, and they reflect the multilingual nature of the time. It appears that Sophia Elisabet Brenner emerged as a poet in the right place at the right time. She could meet the given expectations and had the benefit of friends and a husband who promoted her publicly. Her decision after a few years of marriage to use Brenner rather than Weber as her published name can be seen as an expression of the couple’s efforts in working toward a common goal, namely establishing the learned wife as a well-known poet. “Consider”, she wrote in a commemorative poem for Elias Brenner in 1717, “how he honoured you, nay almost boasted about you!” However, and this was no less important, she was also talented and made use of her talents and her pen in her own manner. She took a stance in the important woman’s issues of the time; she was in favour of a woman’s right to choose her own husband, emphasised that knowledge and ability were not gender-related and decisively asserted that the character of the soul is not necessarily worse in a woman than in a man. The body was just the “external portion” of the soul, she wrote in her celebration of Ulrika Eleonora’s coronation in 1719 and continued, “as regards the soul, it is just as good, and just as important, in many women”. She frequently served as an interpreter for other women and often addressed women as grieving spouses and mothers, or in their professional roles. An interesting example is the ode to Czar Peter’s wife Catherine, who was crowned Empress in 1724 in St Petersburg. This poem was written in German, and was accompanied by a letter in the same language and was re-discovered in the 2000s in transcription, along with her commissioned ode to the old enemy, Czar Peter, who had died in 1725. Loyalty, which extended beyond family ties, is apparent in Mrs Brenner’s circle and offers an impression of a republic of learned women, a respublica literaria. The earliest example of this appears to date from the 1680s, when the Countess Aurora von Königsmarck spent some time in Stockholm. This type of collegiate network of contacts also surrounded the literarily gifted Ebba Maria De la Gardie, the artist Anna Maria Ehrenstrahl and the translator Maria Gustava Gyllenstierna. In retrospect, it becomes clear that Sophia Elisabet Brenner lived and was active during a period of change, simultaneously firmly rooted in tradition but also a precursor of a new time. Her social circle comprised people who expressed faith in humanity’s innate wisdom, and in humans’ ability to observe, describe and interpret, to change and improve. The doctor Magnus Gabriel Block belonged to this circle. When he observed a remarkable natural phenomenon in Motala river and subsequently explained it to be completely natural, Brenner applauded him for having “brought light and day where people had become lost”. Brenner also, far earlier than others, made use of an autobiographical narrator, not just an anonymous narrative voice or character voice. She wrote as a woman, a sister, a mother, a spouse and as a friend, and we hear her personal voice speak from her own experiences of sorrow and subsequently of aging. But there were two aspects where she was not forward-looking. She certainly wrote beautifully but not lightly, and she represented a feminine ideal that would soon fall out of fashion. A generation later, women were expected to converse entertainingly and in French, showing an education which was adequate to the conversation, but no more. Sophia Elisabet Brenner knew her Latin, she made her voice heard and she was appreciated as a learned woman and a poet. It was for this that the estates of the nation in 1723 awarded her an author’s pension. Sophia Elisabet Brenner died in 1730. Sophia Elisabet Brenner, www.skbl.se/sv/artikel/SophiaElisabetBrenner, Svenskt kvinnobiografiskt lexikon (article by Valborg Lindgärde), retrieved 2019-04-19.